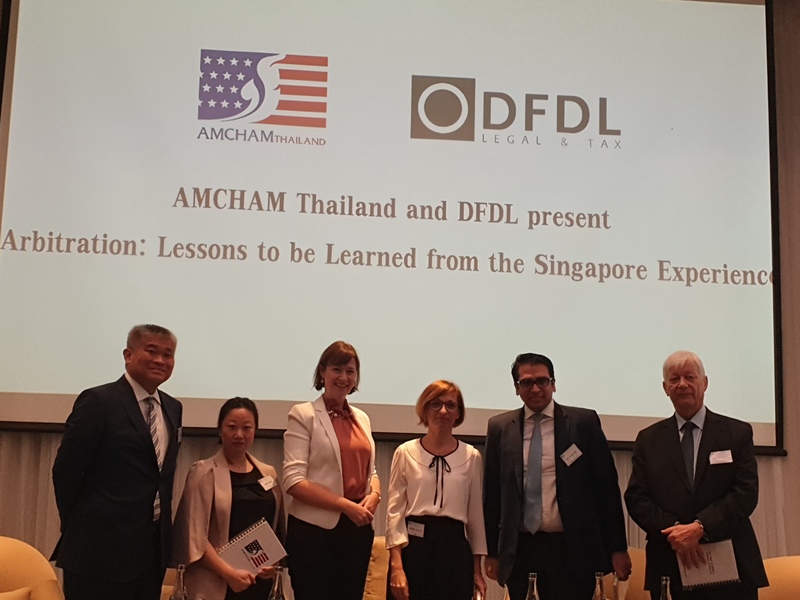 DFDL and AMCHAM Thailand hosted a seminar on Arbitration – Lessons to be Learned from the Singapore Experience on 20 March in Bangkok. The event opened with a presentation from Steven Lim (Senior Partner, CMS) who shared informative insights on Singapore’s evolution as an international arbitration venue. 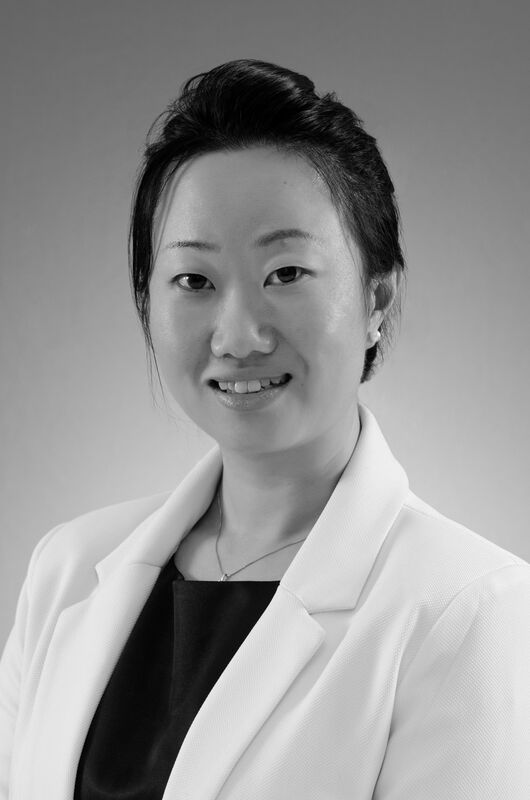 Hazel Tang (Counsel, International Chamber of Commerce) presented an overview of the international arbitration environment in Asia and how Singapore has become a key hub for such arbitration. The presentations were followed by a panel discussion on What Should Thailand Consider in Order to Improve its Arbitration Environment. 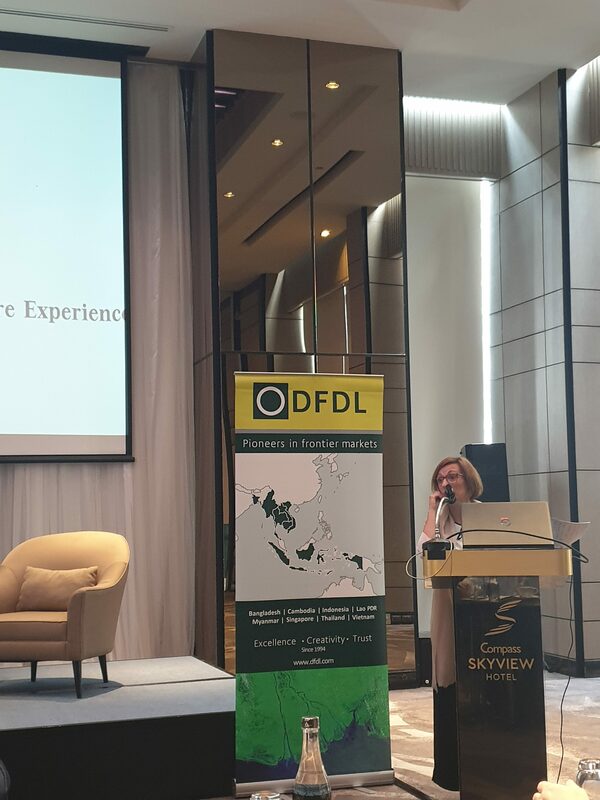 The panel was comprised of Steven Lim, Hazel Tang, Victor Smith (Chartered Arbitrator, Charndell) and Nicky Balani (Senior Associate, Siam City Law) and moderated by Audray Souche (Partner; Managing Director, DFDL). The discussions revolved notably around the key points to be considered when envisaging arbitration as alternative dispute resolution, the perspectives in terms of international arbitration development in Thailand under the recent amendment to the Thai Arbitration Act, and the relevance of the introduction of certain procedural tools in the Thai system to improve arbitration proceedings in Thailand. This engaging event closed with interesting questions from the audience on the role and involvement of third parties in providing evidence during arbitration disputes and arbitration clauses. 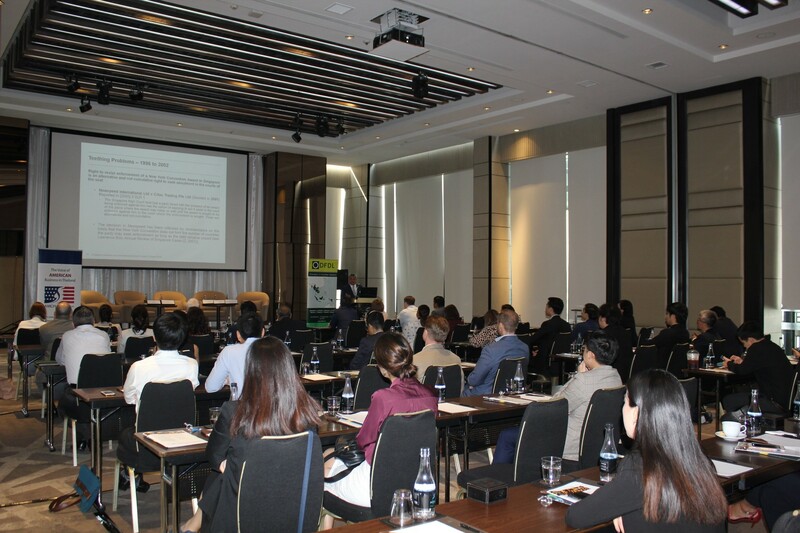 The room packed to full capacity indicated the success of the event and all attendees appreciated the knowledge and insights shared by the experts on arbitration trends and strategies in Thailand and Singapore. AMCHAM Thailand and DFDL Thailand are pleased to invite you to join their session on Arbitration in Thailand and beyond. 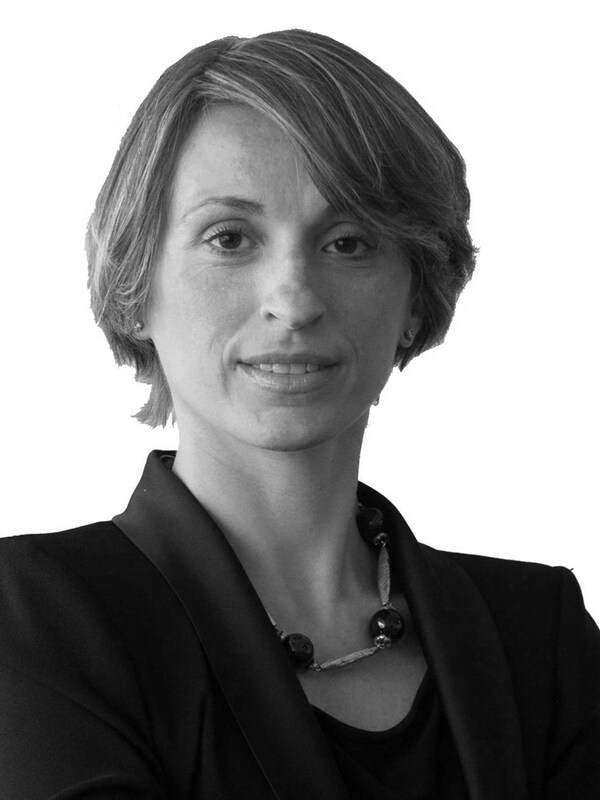 The popularity of Singapore both as a seat of arbitration and a venue for proceedings has grown at an amazing rate over the past decade; why is this? What should Thailand do if it wishes to have the same popularity as Singapore for arbitration? DFDL in collaboration with CMS and ICC invites you to join this insightful session where you will gain insights on arbitration trends and strategies for practicing arbitration in Thailand and Singapore. Places are limited, so please be sure to register at your earliest opportunity for this session.